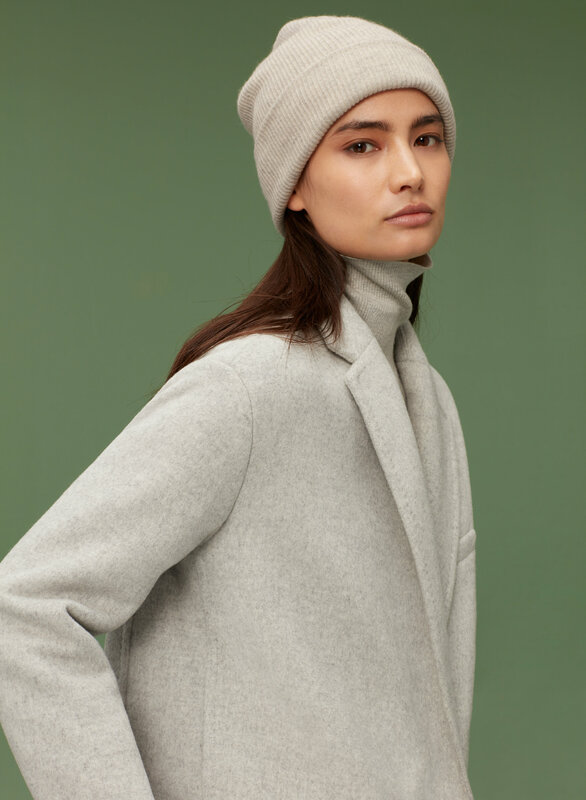 Styled with stedman coat . 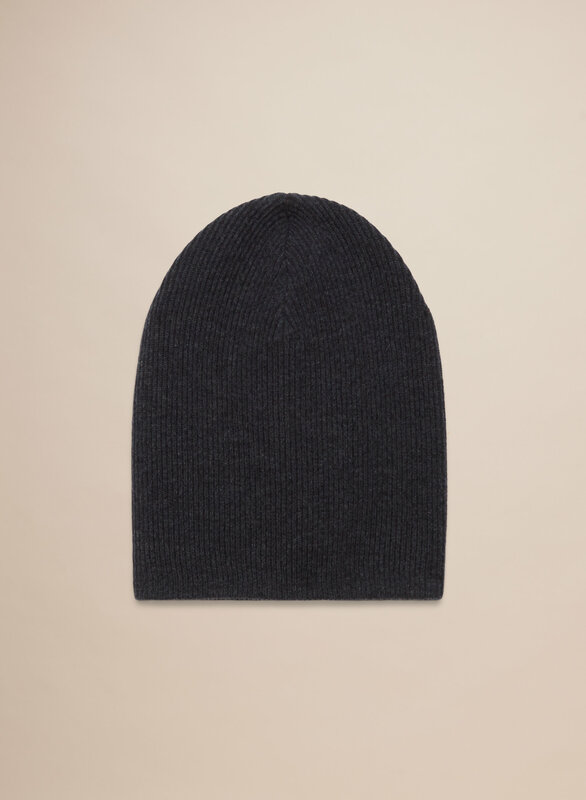 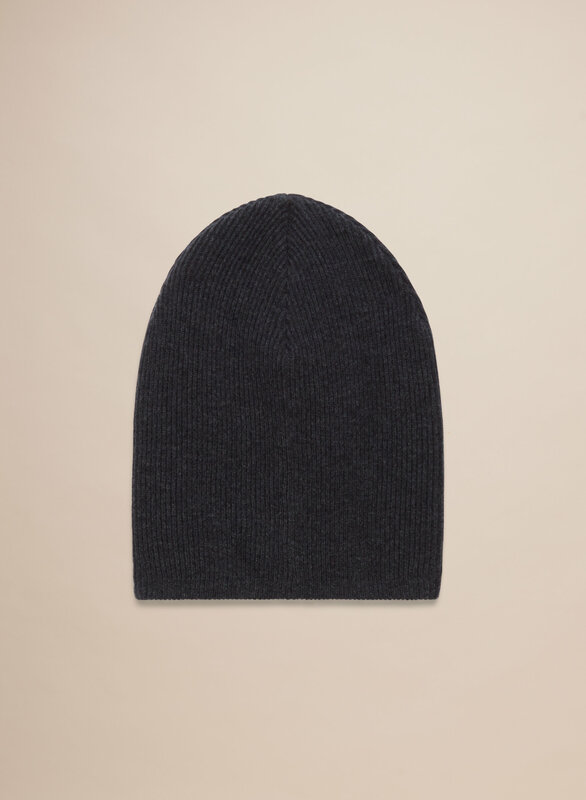 Inspired by menswear toques, the Dennis is knit with wool and cashmere — making it soft, plush and warm. 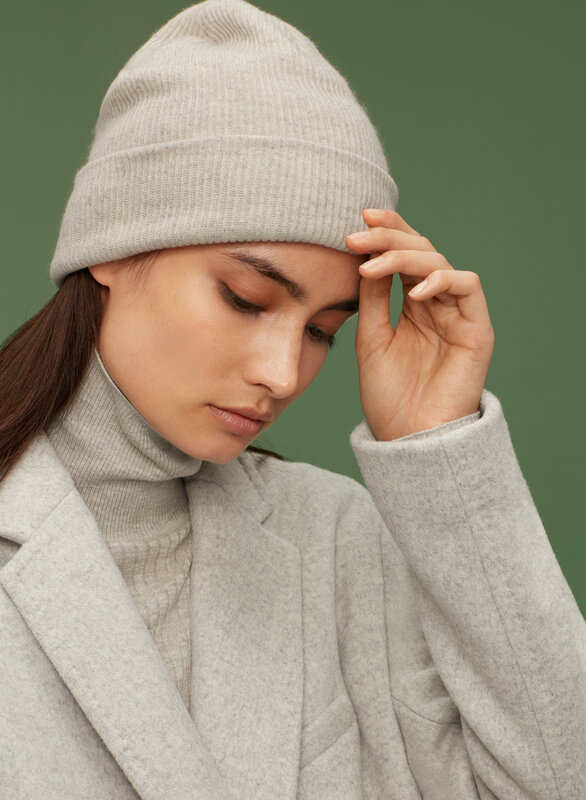 Wear it slouchy, or roll the cuff for a tighter fit.